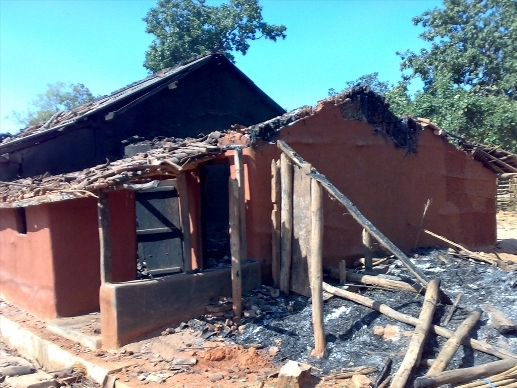 Nearly 100 Christians were killed and 300 churches and 6,000 Christian homes damaged in the Kandhamal district of Odisha, after the killing death of a Hindu leader in 2008. More than seven years since seven Indian Christians were arrested on suspicion of murdering a Hindu leader – whose death sparked the worst case of anti-Christian violence in India’s history – one of them has been freed on interim bail for a month. All seven of them, six of whom are illiterate, continue to maintain their innocence. Previous bail applications from the seven had been flatly rejected by the High Court of the eastern state of Odisha. But Gornath Chalanseth’s successful application gives hope to the families of the other six that they too may soon be released. Nearly 100 Christians were killed and 300 churches and 6,000 Christian homes damaged in the Kandhamal district of Odisha, after the killing of Swami Laxmanananda Saraswati on 23 August, 2008. By the end of that year, the seven – Bijay Kumar Sanseth, Durjo Sunamajhi, Bhaskar Sunamajhi, Budhadeb Nayak, Munda Badamajhi, Sanatan Badamajhi and Chalanseth – had been arrested. In 2013, they were found guilty of the murder by the trial court and each sentenced to life imprisonment. The convictions shocked India’s Christian community, which was still reeling after the deadly attacks, and Christian advocates have been fighting for their release ever since. Chief among these is Anto Akkara, a journalist who is close to completing his fifth book about the saga, which he refers to as a great “conspiracy”. Akkara was recently involved in the creation of a website, which urges readers to sign a petition for the release of the seven. Each online signature generates instant emails to India’s President, the Chief Justice of India’s Supreme Court and the Chairman of the National Human Rights Commission, asking for the release of the seven. The 22 March bail order for Gornath Chalanseth from the Odisha High Court came a day after Akkara received a call from the National Human Rights Commission asking about the online signature campaign. The website outlines the major discrepancies and apparent injustices in the case against the Christians. “The trial court convicted the seven accused and sentenced them to life imprisonment on the basis of a fabricated Christian conspiracy theory despite hardly any credible evidence brought before the court,” it states. It then adds that in June 2015 “two top police officials – who had relied upon the same conspiracy theory to ensure the conviction of the innocent Christians – have testified before the Kandhamal judicial inquiry commission that the allegations were false.” However, the website notes that the appeal hearing has since been “repeatedly” postponed. “Everyone should speak up for these people,” said Cardinal Oswald Gracias, Archbishop of Mumbai, after the website’s launch. The website complains that discrepancies within the case against the seven were apparent right from the start, when Hindu fundamentalists blamed Christians for the Swami’s murder. In the days that followed his murder, the Swami’s body was taken across Kandhamal, “accompanied by thousands of Hindus … to incite the primordial passion of revenge among Hindus in one of the least developed districts of Odisha”, notes the website. “It was obvious that public reaction to the murder of a prominent religious leader like the Swami would be extreme. Yet when options to be followed after the murder were being considered, there is little evidence that high-level political and official leadership offered guidance and support to the local district administration,” said the National Commission for Minorities, after its September 2008 visit to Kandhamal. In his forthcoming book, ‘Cry of the Oppressed’, Akkara profiles the seven Christians, outlining some of the reasons why he believes they are innocent. 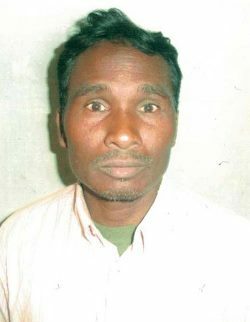 Sanatan Badamajhi’s wife Badusi said that a few days before her husband’s arrest, on 4 October, 2008, some of the Hindu village leaders had warned him that he would soon be arrested. But on the day of the Swami’s murder, Badamajhi, 36, had been tending cattle and sheep, according to a Hindu neighbour, Nakula Mallick. “Police never came to investigate or ask anything about him. If we had been called, we would have testified for him in the court,” said Mallick. The judge said a gun was seized from Badamajhi’s house, but his wife says they never owned a gun. Police also claimed to have seized an axe from the house, but his wife said the police brought the axe from the house of Mukantho Mallick, a Hindu neighbour, who had accompanied the police to identify the house. “Later, Mukantho has been repeatedly complaining that the police took away the axe. I had only one axe and it is still in my house,” she said. 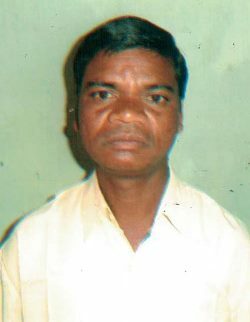 Munda Badamajhi, 34, was arrested on the night of 4 October, 2008, at his home in the village of Duringpodi. The prosecution said it recovered a gun from Badamajhi’s home, but his wife, Bandigudali, said her husband did not even know how to use a gun. 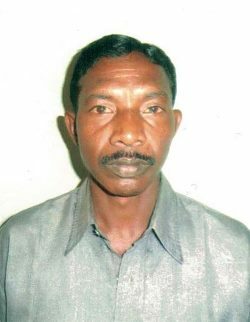 Durjo Sunamajhi, 35, was woken up on the night of 4 October, 2008, when police barged into his house in Budapada village and took him away, as well as the barrel of a broken gun that they found in his house. His wife Gumili said her husband was on a train towards Kerala on the day of the Swami’s murder and had never touched the gun, which she said was an old and broken hunting rifle last used by her husband’s grandfather. Sanseth’s wife, Pabitra, said police phoned her on 12 December, 2008, and told him to report to the police station the next day. He did so, and has been detained ever since. However, police recorded events differently, saying that on 12 December Sanseth met three of the other accused Christians at a Maoist meeting in a jungle near the village of Sartuli. They added that Sanseth, 42, had been overheard discussing plans to murder the Swami outside Kotagarh High School. This claim was attributed to a witness, Mahasingh Kanhar, who initially denied the claim, but eventually endorsed it during a retrial. 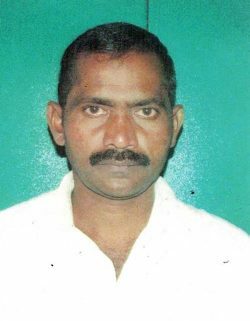 Bhaskar Sunamajhi, 32, was playing cards with his friends in the village of Kutiguda when police came to collect him on 13 December, 2008. “You can return tomorrow,” his wife heard them say, when they took him away. 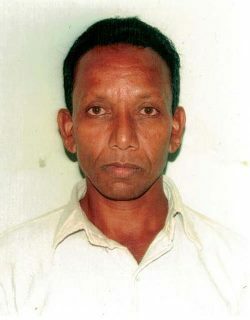 But after more than seven years, Sunamajhi has not returned home. The judge said Sunamajhi was “hand in gloves” with the Maoists and had undergone several weeks of training at a Maoist camp. However, his wife Debaki said he “never ventured [far] from home”. Biracha Paraseth, a neighbour, added: “This is a total lie. He was with us on the day [the Swami was killed]”. Before his arrest, one of the village elders urged Nayak, 42, to go into hiding, but he refused, saying he had done nothing wrong. Police later came to his house, threatening his eldest son, 20-year-old Lingaraj, that they would soon arrest his father. On the night of 13 December, 2008, they came back and Nayak was arrested. “He was wearing only a [sarong]. They tied his hands to take him away. He asked for clothes and I gave him a shawl,” recalled his wife, Nilandri. Three days later, the family visited him in Balliguda jail. 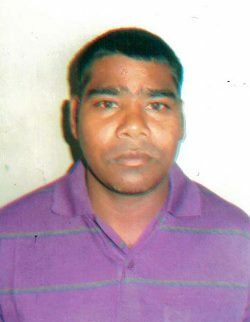 The police said he had been with Maoists in the jungle on 12 December, alongside three of the others accused. 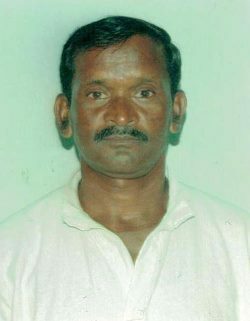 Chalanseth, 39, was taken into police custody on 13 December, 2008. However, Chalanseth’s successful bail application has given hope to the families of the other six Christians. “I am fine, thank you,” Chalanseth said, via his son Nithaniel’s phone, as he left Phulbani jail alongside his wife Ruta and other relatives, who had travelled 130km to meet him. “They all are fine and waiting for their release,” he added, excitedly, about his fellow convicts. 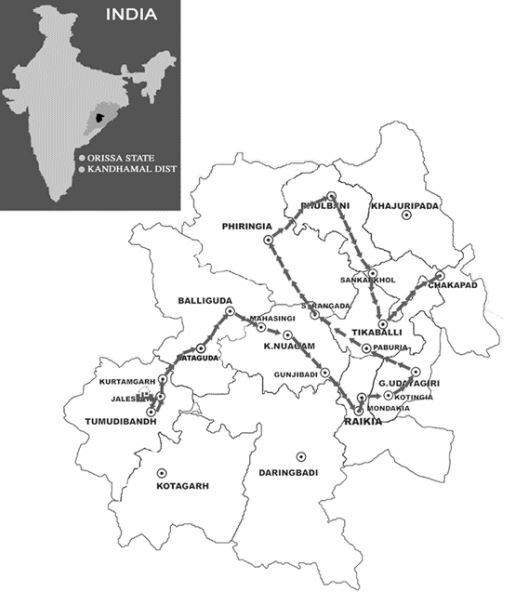 Fifty-six thousand Christians were displaced after the violence in Kandhamal in August 2008. Since then, the local community has struggled to receive adequate compensation from the government, which has been a source of much contention. In June 2013, according to The Hindu, a report recommended that the Odisha State government “take immediate measures to adequately rehabilitate and resettle the victim-survivors of the Kandhamal violence”. The report further urged the government to “ensure full reparation to those whose livelihoods were affected due to violence and strife”.